Keep up-to-date with helpful laser tips and tricks! Join the growing community on Facebook! Subscribe to the How To Laser NewsLetter! If you're just getting your toes wet, been in the laser industry for years or invented the worlds first laser... You're welcome to join our Facebook page. The community is growing every day and serves as a place to collaborate, share and ask for help. 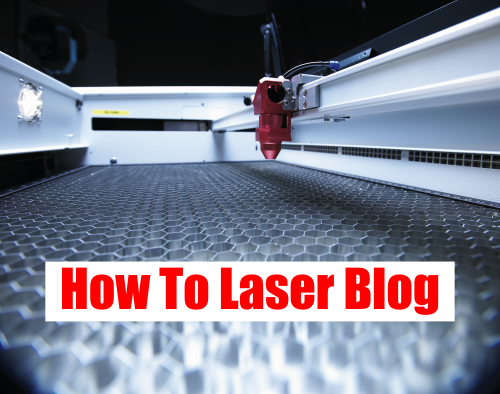 The How To Laser blog was created to help answer popular questions about trotec laser cutting and engraving machines. It stands as a sort of “Laser Bible”, explaining everything from software features, cutting and engraving tips, basic material parameters, to design, workflow and mass production. Working efficiently is a key aspect of any business, especially with laser engraving. Working with new materials and new techniques require time and effort to perfect, and normally can not be done during working hours. This is where How To Laser blog comes in, the blog provides the R&D for you in a well documented, easy to read and convenient way. How To Laser promises to always provide, up-to-date, relevant information, to help you succeed in the laser cutting and engraving industry, with the help of their Trotec Laser machine. To stay up-to-date with everything that is going on, please subscribe to our newsletter.